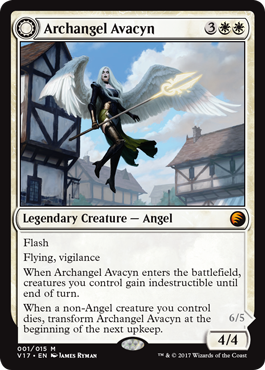 Ever since the inception of the Miracle mechanic in Avacyn Restored most players have been trying to abuse it with instant speed card draw such as Thought Scour and Desolate Lighthouse on their opponent’s turns. This yielded mediocre results to say the least. What if we ‘ramped’ and ‘fetched’ a bit to maximize our odds of drawing high impact miracles and then be able to cast them ‘ahead of the curve’. This is in great part what the following deck attempts to do. It packs the ones that allw us to go ‘over the top’ versus other midrange decks and control the early game versus aggressive decks. A nice lineup of topdecks that strikes fear in most opponents’ hearts. You probably don’t want any in your starting hand of 7, but will almost always be happy to ‘topdeck’ them later on in the game. It may seem like you’re just ripping good cards off the top, but the rest of your deck contains quite a few goodies as well. So it’s definitely not the Naya build you’re useed to right? Quite a few 1-ofs and a rather odd sideboard to say the least. 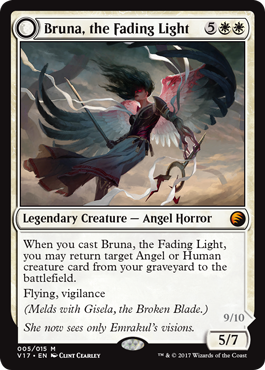 The main deck is full of creatures that advance our aggro and a lot that stabilize us versus quicker decks. Huntmaster of the Fells is one such creature. He can come down on turn 3 after a Farseek or Avacyn’s Pilgrim and start doing his thing. If your opponent had no play on their turn, he’ll flip and zap one of their dudes for 2 as well as the opponent. If your opponent has a smallish board presence you can always attack with the 2/2 Wolf token. You can also use the ability of Slayers’ Stronghold on the wolf token to force them to trade one of their bigger guys for it. If they don’t, you’ll still have the wolf hanging back ready to block or trade thanks to the Vigilance granting ability on the Slayers’ Stronghold. It’s probably one of the deck’s most common mid to late game plays and it’s actually quite good. 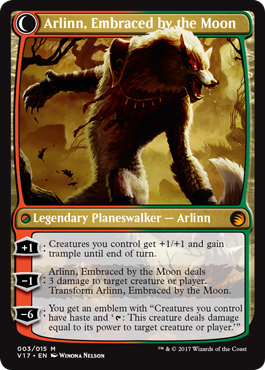 Another thing that Huntmaster does is that he aids us in catching up on the creature count versus decks like Aristocrats or other token decks. The 2 life gain effectively negates a Lingering Souls attack and he can then flip to kill a 1/1 Spirit token. He stems the bleeding in a big way on his won. If you draw a Farseek later on you probably want to wait until you can cast it and another sell in the same turn so that you can flip your Huntmaster and get some more life and creatures onto the battlefield. To add to his versatility, Huntmaster of the Fells does really well against Liliana of the Veil too. 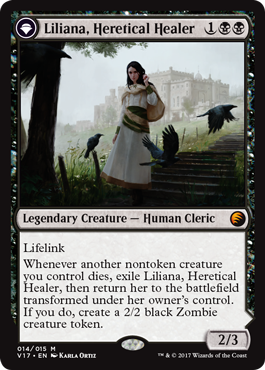 Since he generates and extra creature, it makes Liliana’s -2 ability a lot less appealing to our opponents. 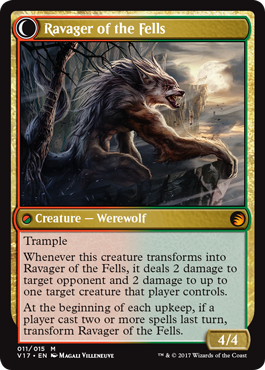 Against deck like Naya Blitz or Mono Red, that wolf token is probably trading with a Rakdos Cackler, Experiment One or Burning-Tree Emissary. Again, if our opponent cannot pile up the pressure, Huntmaster will strike another one of their creatures down. 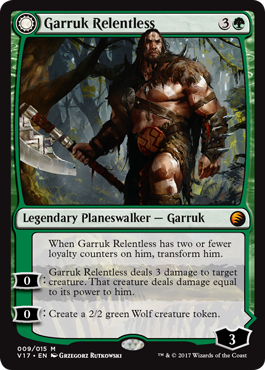 He also ends games fairly well while flipped versus token decks thanks to his Trample ability. This works well with Slayers’ Stronghold as well since it’s basically guaranteed extra damage. He does pretty much most of what Huntmaster does only somewhat differently. While he may give us more life, he doesn’t get the option to flip more than once, if at all. We aren’t running Restoration Angel, so his effects are one time only. Post Supreme Verdict he is rather insane with Slayers’ Stronghold (then again, most of our guys are. You usually name ‘Beast’ with Cavern of Souls mid to late game if you plan on dropping some of these guys versus any decks packing permission (Dissipate, Syncopate,etc). I’ll try and save some time by not having to explain what most already know about the goodness of Thragtusk here. 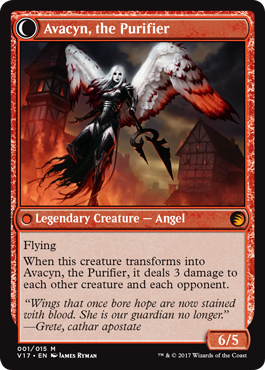 The other creatures are there to get some aggro going except for the Avacyn’s Piligrim (more commonly referred to as Mana Dorks). The one-ofs can take over a game, especially Aurelia, the Warleader. 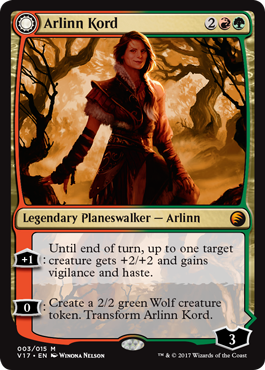 She can come down out of the nowhere and win the game after you flipped a Huntmaster, shot your opponent for 2, killed a potential blocker and get ready to alpha strike for the win. It’s exactly the kind of card you want to have as a singleton. You never ever want to draw more than 1, it costs a sizeable amount of mana and it can totally take your opponent by surprise (especially once he thinks he stabilized the battlefield). The two Loxodon Smiters may seem out of place but they really go a long way. 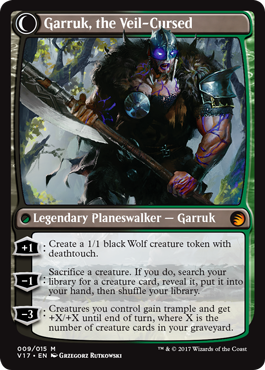 First of all, they are probably the 3-drop creature for this deck on both offense and defense. Uncounterable means that you get to resolve it versus decks like Bant Flash our UWR Control. 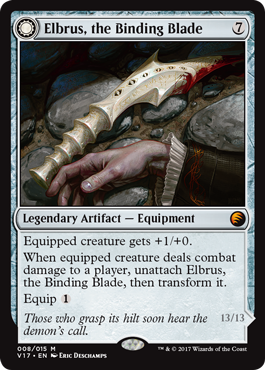 Four toughness means it won’t die to things like Searing Spear or other random aggressive creatures. Late game against UW(r) decks you get to resolve it 100%, activate Slayer’s Stronghold and attack with no fear. Opponent flashes a Restoration Angel? Sure, we’re still good. If he was holding a counter, well it’s rather useless. Azorius Charm or Warleader’s Helix are their 2 only ‘real’ solutions (or Snapcaster Mage into those). The elephant can also be a great card against Liliana of the Veil decks. 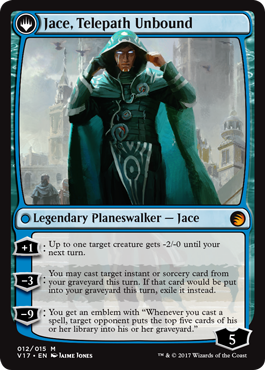 If you suspect that your opponent is playing this particular planeswalker, you can always just play a turn 3 keyrune in anticipation for a Liliana +1 activation. You will then get to put a nice little 4/4 onto the battlefield while they discard a real card. 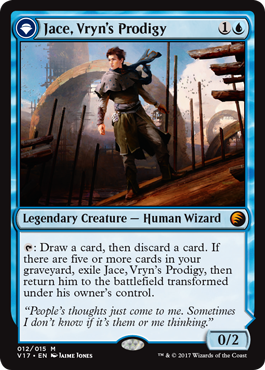 Another very odd main deck card I want to discuss briefly is Trostani, Selesnya’s Voice. It may seem out of place in this kind of deck but I would always find myself siding it in 90%+ of the times versus any kind of deck. It used to be a Advent of the Wurm, but I found that it did not do much and you always want your turn 3/4 to be something that stabilizes the board (Huntmaster) and gives your opponent headaches. If found that against most decks that run almost exclusively burn as removal – Trostani was pretty insane. Any one of your 2 lifegain creatures gain great value with a Trostani in play. Thragtusk gains you an additional 3 life and Huntmaster gains you 4 more. It also Populates Wolf and/Beast tokens. 5 damage burn exists in the form of Brimstone Volley, but it requires a Morbid trigger that you can smell coming a mile away. If anything Trostani will eat a couple of burn spells that would have otherwise been directed at you. Angel of Serenity and Daybreak Ranger round-up the creatures in the deck. 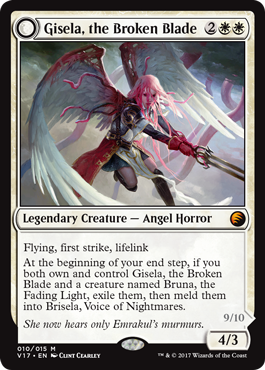 The Angel is a great way to recover from Mutilates, Supreme Verdicts or your opponent just having drawn wayyyy to much removal. Daybreak Ranger force your opponent to deal with it as its flipped side basically will be killing anything that’s 3/4 (Restoration Angel) or small every turn. He can also double as removal for something bigger when you activate a Slayers’ Stronghold before you use his ‘Fight’ ability. Daybreak Ranger is probably rather questionable in the overall scope of things, but I find it’s important to actually enjoy playing with the cards you like. 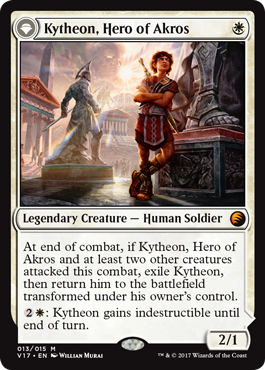 Sure, arguments can be made for another Loxodon Smiter, Advent of the Wurm or even maybe a Voice of Ressurgence. Those are all great cards and probably all better than the ranger, but I really like the ‘removal’ aspect he brings to this deck. None of those other cards come close (except of course a flashed in 5/5 Wurm token versus a 4/4 or small ground attacker). I have been told that it’s rather janky looking and does not have its place, but after many many games played with the deck (and a really high win %) I can confirm that Daybreak Ranger is the correct card for the job. So after all this creature blah blah, we get to the ‘meat’ of the deck : the Miracles. Bonfire from the Top Rope ! It’s probably the best it is at what it does. 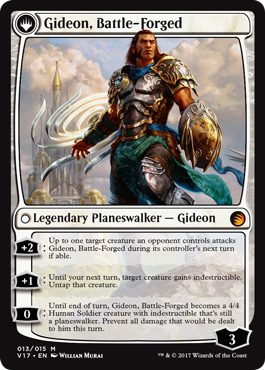 Board whipe and damage source/planeswalker kill all in one! This is especially good against lower curve Naya decks and BW token decks and their variants. 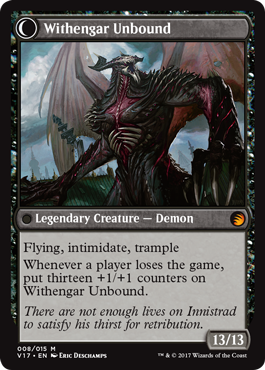 You can always keep it in hand against the token decks and wait until they put a Sorin, Lord of Innistrad into play. Cast this, kill their token army and redirect the player damage to your opponent’s planeswalker. Seems legit, no? Sometimes you will just get into these long grindy games (especially against decks that managed to resolve a Sphinx’s Revelation). You tough it out and do your best to win the game and hang in there, your deck shrinks and shrinks and then you draw it – Bonfire! You tap all your lands, keyrunes and mana dorks and go for maximum damage! Your opponent scoops up his cards and call you a luck sack, scrub, whatever….but it won you the game. There’s no arguing as to how ‘ugly’ or un ‘finesse-like’ finishing a game with Bonfire of the Damned is. It gets the job done, nothing fancy, that’s what it’s there for. This card is pretty insane as proven by ‘Insayne’ Alex Hayne at Pro Tour Avacyn . It can win a game out of nowhere when cast for as little as 3 and two attack steps later. This is the card that helps you trump the midrange decks that are too ‘fair’ or go big against the more efficient aggressive decks. It is a way to say ‘no more 1/1 poking’ against decks using Lingering Souls. Another aspect of the deck that maes Entreat the Angels good in the deck is that you ramp quite a bit. You can Avacyn’s Pilgrim, Farseek and Keyrune your way to an Entreat for 2-3 and it’s a fine play. Of course it doesn’t compare to the ‘explosiveness’ of just going ‘Miracle’ Entreat the Angels but it’s still good. I had games where my opponent played an Armada Wurm which put him in a good position to close out the game and I just top decked Entreat to make 6 4/4 Angel tokens. Was it lucky? yeah, so what? it was just as lucky as him having drawn an Armada Wurm, really. Whichever you prefer, they’re all good when you’re laying the smackdown! Sometimes things Undie, they leave behind tokens when they die or just cannot be destroyed. They sometimes can even be re-cast from the graveyard. These are rather resistant to cards like Supreme Verdict. It may seem weird to be running a Wrath of God style effect in a Naya deck, but as you have already seen: this is not your traditional Naya deck. We play fair for a little while and then we like to do things that are rather unorthodox. The possibility to cast this on turn 2-5 when miracled is well worth playing in our deck. Sometimes you will just flip it an whipe out a tiny horde early on or just cast it later on to unclog the board and swing with your keyrunes and possibly a Thragtusk Beast token. I had games end with my opponent being at 3 and having no way to actually finish them off (played both Searing Spears and Bonfires). I then cast Terminus, activate Selesnya or Gruul Keyrune and win. It’s a very unlikely scenario, but you have to at least anticipate it when all else seems lost. It’s even good mid-game when you’ve only committed thing like Huntmaster to the board. 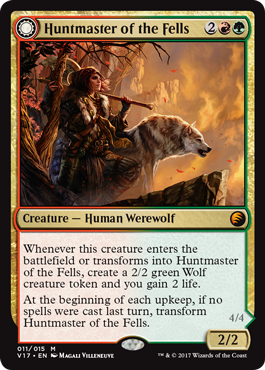 Your Huntmaster and token are only really one card as opposed to your opponent’s 2 real creatures. If you can manage to basically equalize the board with Thragtusks and Huntmaster tokens a Terminus can be a correct play if it means you held some cards back and can recover/gain an advantage post-Terminus. Same priciple applies if all you’ve been doing is churn out 3/3 beast tokens with Garruk, Primal Hunter all day. Get to 6, Terminus the board and ultimate Garruk afterwards. You’re almost always in better shape than the post Terminus, except if they are running something like Aetherling. In that case you are probably not going to be casting Terminus anyways. 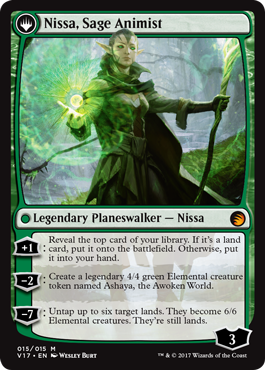 You undoubtedly noticed that the deck is running 1 of each of the Naya-colored keyrunes. This is really not as random as it seems. Of course one of the main things they do is accelerate our mana so that we can make more explosive plays later on. That’s not all they do. In games versus more controllish decks, they allow us to keep attacking after our opponent has played some ‘destroy all creatures’ spell . It may seem ordinary right now as most everyone is playing aggressive or midrange decks, but you do get those control match-ups once in a while. It may not seem like much, but a Boros Keyrune + Slayers’ Stronghold is 6 damage. 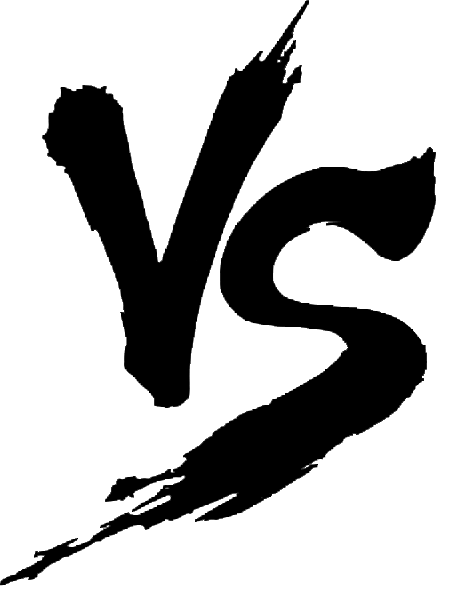 This is 1/3 of your opponent’s life total. It also allows us to first strike kill things like opposing Thragtusks. Sometimes we’ll even be killing off opposing planeswalkers with it. Now that’s value! The Selesnya Keyrune is the most unimpressive one in terms of ability, but it is also the best one on its own merits (ie: no boosts). 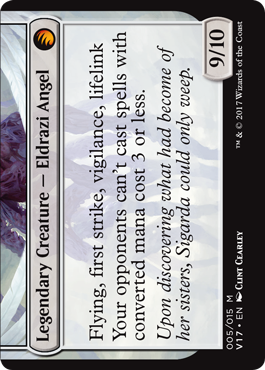 It blocks the odd attacker when it has to and does a good job at killing a Liliana of the Veil. Finally, the Gruul Keyrune is just great for when we need to do some major trample damage. 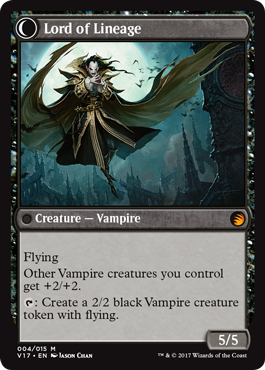 If your opponent is clinging to a Sorin, Lord of Innistrad and just made a 1/1 vampire token, then this keyrune is a great way of making sure his Sorin does not stay in play for long. All in all the keyrunes provide us with the opportunity to run 4 colorless lands. This is probably the highest number of colorless lands in any Standard deck. Between these and a Farseek, we are rarely ever color-short. 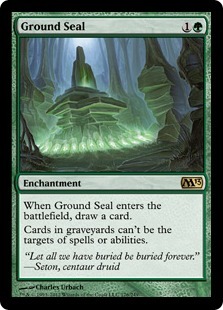 The first thing I want to address in the sideboard is the choice of Rest in Peace versus Ground Seal. Many pros, cons and options were considered but it basically came down to this. I believe the traditional White decks are more inclined to running Rest in Peace. I tried it and really convinced myself it was the right choice. In the end however, I was extremely dissatisfied by it. It slowed down my gameplan, it was a wasted card if drawn in multiples (except versus the Reanimator matchups, and even then…). 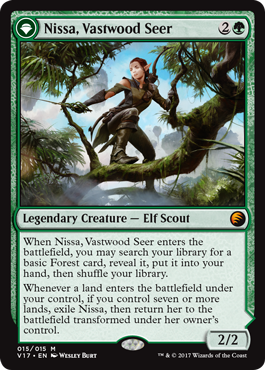 I then did a Gatherer search and found Ground Seal (i barely recall it being a one of maindeck in Jund lists). 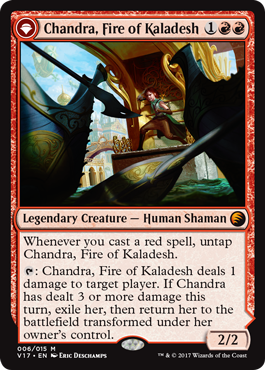 1) You can run one in the maindeck. Much like the Standard Jund decks out there, I decided to put one Ground Seal main deck and go with a 61-card deck. It replaces itself so it’s not actually costing a card and its cost is low enough that it does not increase our mana curve (well, the non-miracled one). 2) It does not slow down our aggro plan or cost us much tempo. So we’re there casually attacking our reanimator or Snapcaster Mage deck opponent and we draw a Rest in Peace. Argh! this doesn’t help us or advance our cause and can be rather bad in our opening hand. Ground Seal is basically a 1G : draw a card and potentially slow down your opponent. Reanimator runs Abrupt decays and Acidic Slimes, so neither enchantment stays in play for long. 3) It is not bad in multiples. 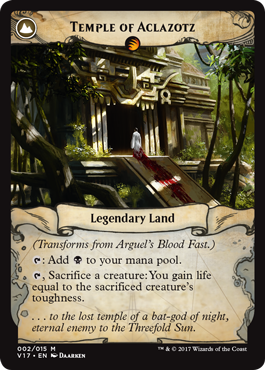 Knowing that each Ground Seal in play allowed us to draw an extra card gives us a warm and fuzzy feeling. Knowing that each Rest in Peace cost us a card is frustrating. The main argument FOR Rest in Peace is versus Voice of Reason (which is not that good against us). If our Ground Seal gets destroyed our opponent can still do reanimator/Snapcaster shenanigans. This is less true for Rest in Peace, as it would have already gobbled up a part of their graveyard (less true for an early Reast in Peace). From Obzedat to Angel of Serenity passing by Thragtusk, this cards is a must. Think of it as a Swords to Plowshares for opposing fatties. 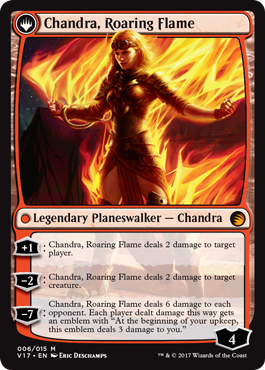 It’s also rather effective against Naya Blitz decks that will try to bloodrush their guys with Ghor-Clan Rampager. Against other weenie builds, you can consider it as a ‘burn’ if you can trade your 2/2 token for one of their dudes. So you played against Reanimator and want to hate on Unburial Rites, you go ahead and drop this naming Unburial Rites. Your opponent casts an Acidic Slime and kills your Nevermore. Booh! You just lost to Aetherling and really don’t see how you can deal with it. Your opponent casts his one Aetherling in his deck before you manage to draw Nevermore. Oops! So, what exactly is this for? Well, unless you have been hiding under a rock for the greater part of the year, you most likely noticed a certain card in Standard can be quite painful to play against. It can totally swing a game from you losing to you totally winning. (hint: it’s NOT a Miracle). Yeah, that’s the one! We can all joke about how potentially Reverberate can be used against it, but c’mon! We just don’t want this to resolve – ever. 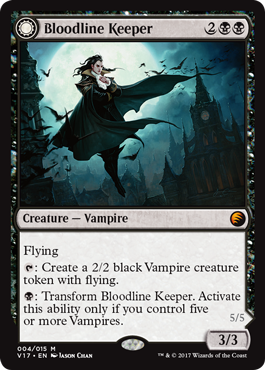 The most proactive way to do it is to just pre-emptively cast Nevermore and name the card. 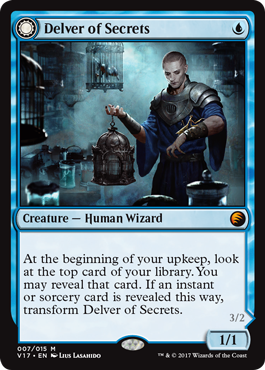 Yes, this is pretty much almost the sold reason for Nevermore being in the sideboard. It’s justified, to say the least. Actually, there isn’t much more. The rest of the side is pretty much a metagame call. I chose to go with cards that are better against what I believe is my worst matchup: BG Desecreation Demon deck. 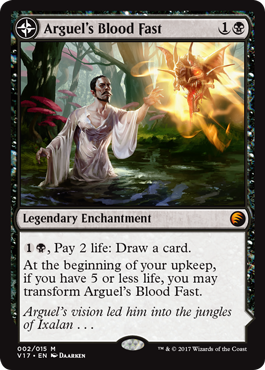 If this thing resolves a Disciple of Bolas Sacrificing a Desecration Demon early on, it’s more or less game over. You don’t ever want that to happen , ever! Most miracles are also very worthless against a deck packing 4 main deck Mutilates as well as Desecration Demons. 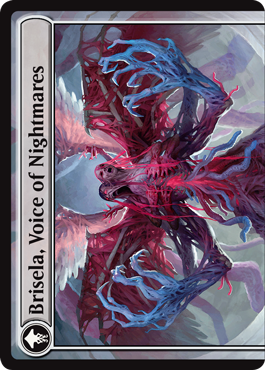 Mutilate is just disgusting versus an Angel army at any point in the game. Desecration Demon also does a decent job against them as sacrificing an Angel token to allow my other tokens to attack is not my idea of winning. Sigarda and Loxodon Smiters are versus Liliana and Garruk is there because that deck puts like zero pressure early on and they also play Garruk (Relentless , though). This about wraps up the Naya Miracles article. I hope you guys enjoyed it and I will be back soon with another feature article on another obscure deck no doubt.